Right-wing antagonist Ann Coulter cancelled a University of Ottawa address last night after organizers decided it wasn’t safe to speak. The move followed boisterous demonstrations outside that sponsors of the appearance feared could turn violent. Mark Steyn will no doubt have something blistering on this one, but Canada, you really have wet yourself. Your osteoporosis has reached a point where a woman with long hair and pointed remarks cannot offer them without you fearing for ‘safety’. For crying out loud in the dark, I hope all honest Canucks, who can remember a time before the last hair was shaved off their public bottom in the name of some bogus ’empathy’ god, just come South of the border right now. The fact that you are upright, law abiding, reasonable citizens means that it will take a while to navigate the USCIS process, I know. But come South anyway, and let’s team up, to try to make at least one country on the continent that doesn’t draw vacuum. UPDATE: photos at Knowledge is Power. After protesters at the University of Ottawa prevented Ann Coulter from giving a speech Tuesday night, the American conservative writer said it proved the point she came to make – free speech in Canada leaves much to be desired. “The University of Ottawa is really easy to get into, isn’t it?” she said in an interview after the cancelled event. . . .
Coulter said she has been speaking regularly at university campuses for a decade. While she has certainly been heckled, she said this is the first time an engagement has been cancelled because of protesters. Coulter remarked on the reception she has had since entering the country. Coulter actually has a case that people are hating her not because she’s beautiful, but because she’s a American. 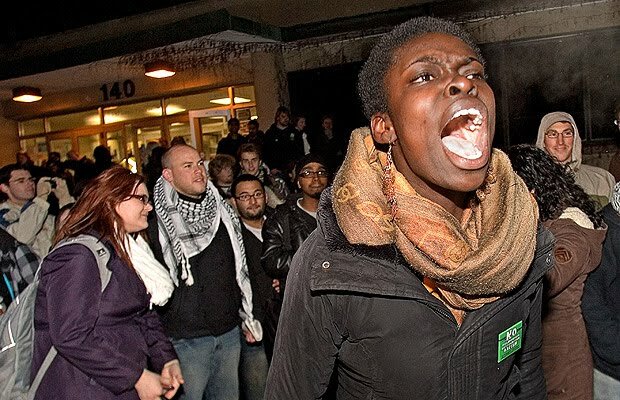 Anti-Americanism is respectable among Canada’s elites, and widespread, but in fact, under Canada’s human rights laws, which include “national or ethnic origin,” it’s just as illegal as hating Somalians. 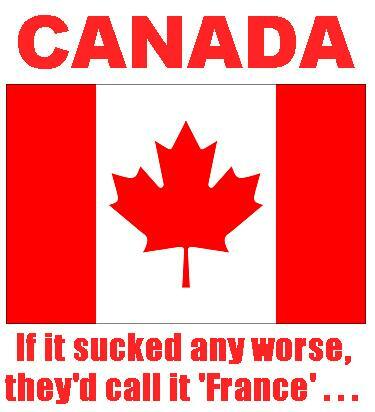 Thank God that in America, we’re still free to hate Canadians. As far as I’m concerned, South Park had it right . . . The peaceful pro-Palestinian demonstrators in their keffiyahs would not allow her to speak. One student said she was happy to silence Ann Coulter. Oh yes, threatening violence to shut up someone with whom you disagree. How civil. These same savages welcome the most hate speech sponsors with open arms and open legs, but truth is verboten. Best Blog Headline of the Day. UPDATE 3/25: Ann Coulter Hears a Houle. Do Blondes Have Rights in Canada? Q & A With Ann Coulter: Vegas, Baby! O’Reilly is a pompous windbag. After watching all five parts of the interview, I am anclined to think that BO’R couldn’t carry Coren’s jock. Canada just another Cuba wanna be. Why the dis to Jim Hoft – Gateway Pundit? He wasn’t serious – he’s sarcastic all the time. Inside joke. Didn’t you follow the LGF/CJ wars? All conservatism is now hate.